Special Thanks to Erin Morey for the meme! 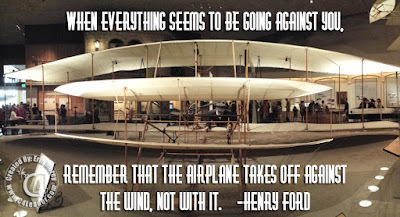 For any of my followers finding themselves fighting a headwind, this is a strong reminder. 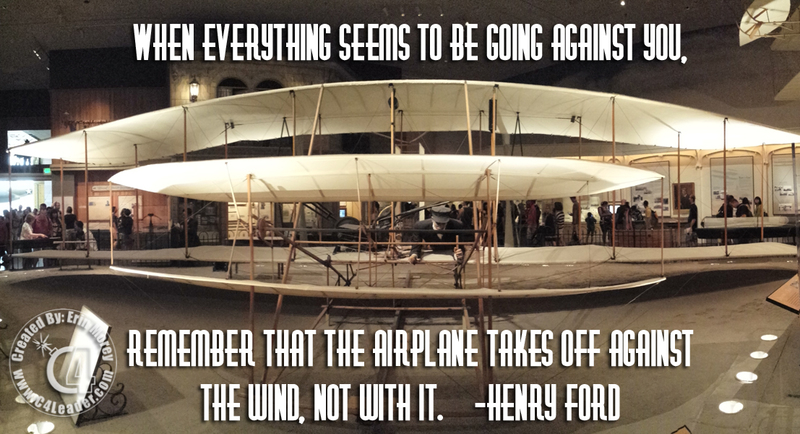 You cannot fly without the headwind. It is the adversity that eventually lifts you up and makes you soar! The real question is: Are you fighting the wind, or finding a way to use it? For many of my friends, this has been a tough couple of years. Since 2014, a lot of my contacts are out of work because they design and build oil rigs. With oil prices fluctuating between $27 and the occasional $50+, these past two years can feel like lost years, and the horizon doesn't look much clearer. At this point, most of my friends are finding other opportunities, and I hope they soar when they figure out how to use their own headwind!